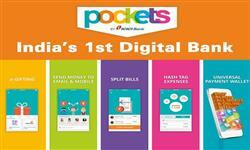 Icici Bank pockets app offering Free Rs. 25 extra on Add money or Load Money in Your pockets wallet. This offer is valid for only new users. To Get Extra Rs. 25 on Load Rs. 250 in ICICI Bank Pockets Wallet you have to apply Coupons & promo codes. This Wallet offering Extra Rs. 25 on Load Rs. 250 , Get free 25 rs extra in this deal by icici pocket you can pay anywhere in India by their physical card just you add 250 rs from any existing bank card or any suitable payment method and get 25 rs extra on your wallet and pay by this card any online payment.Before this icici pockets app is giving Extra Rs. 75 on adding Rs. 250 but this time they give Flat 10% Cashback. Any Bank Customers Can use this app. 0.0.1 Note :- You must be add more than 250 rs for this deal and this is for Only first 10,000 customers so hurry fast grab this deal before 26th August 2017. If you Used previously this deal then this code is not work for you. Because this is for only first time users. Note :- You must be add more than 250 rs for this deal and this is for Only first 10,000 customers so hurry fast grab this deal before 26th August 2017. If you Used previously this deal then this code is not work for you. Because this is for only first time users. Download icici bank pockets wallet app from playstore. Apply code as POCKADD250 or Code which is Mentioned in App. Done ! you will get extra 25 rs in some hours. Offer is valid till 26th August 2017 If offer is extended we”ll update this Date. Offer is works only on Android not For Ios users. Open App , Goto Menu >> Send Money. 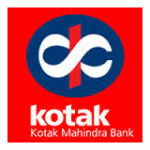 If you have icici bank Then Select Icici Bank Otherwise click on “other”. Enter Your Bank Account Details. After first transaction They will transfer Instant. Discussion on "(Again) Pockets Icici Add Money Offer: Extra Rs. 25 on Load Rs. 250 (Bank Transfer)"